The consultation on the proposals for York Central (aka the ‘teardrop site’) was supposed to be ending today, but the consultation period has been extended to 18 Feb. (More information on this link.) Which is good as it means I can attempt to cover at least some of the proposals for this massive ‘brownfield’ site. — which means you don’t have to go wading through all the structured questions on the questionnaire, perhaps covering aspects you’re not interested in. I’ve been trying to draft pages on this for some time. I’m sure I’m not alone in finding it has been difficult to read and digest all the information and make comment within the allotted four-week period. So it’s good to have the extension of time, though a couple of weeks more would have been even better. Regular readers will know that I’ve wandered around and through the ‘York Central’ site many times over the years. Even before this website you’re reading began its ‘York Walks’ in 2004. I’ve just discovered in a drawer a set of photos from pre-digital days, from the mid-1990s, taken on and around Cinder Lane through the middle of the railway lands behind the station. More on that later perhaps. 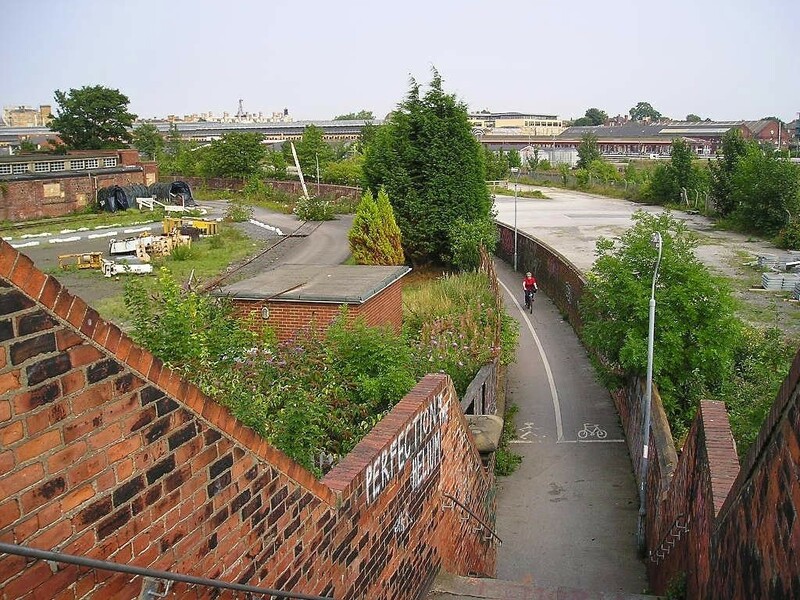 For now, we need to focus on the present, and the plans for the future development of the York Central/teardrop site, which are likely to affect everyone who lives and works in York. See www.york.gov.uk/yorkcentral for all the documents and more information on how to comment. I’m going to try to cover a few aspects of the site and the plans, which I’ll tag YorkCentral.